There’s no denying that Melania Trump is undoubtedly the most beautiful first lady in United States History, although an argument could be made for Arthur Ellen even though she didn’t get to fulfill her role. However, with the role of first lady comes the glamorous and creative responsibility of decorating for Christmas. 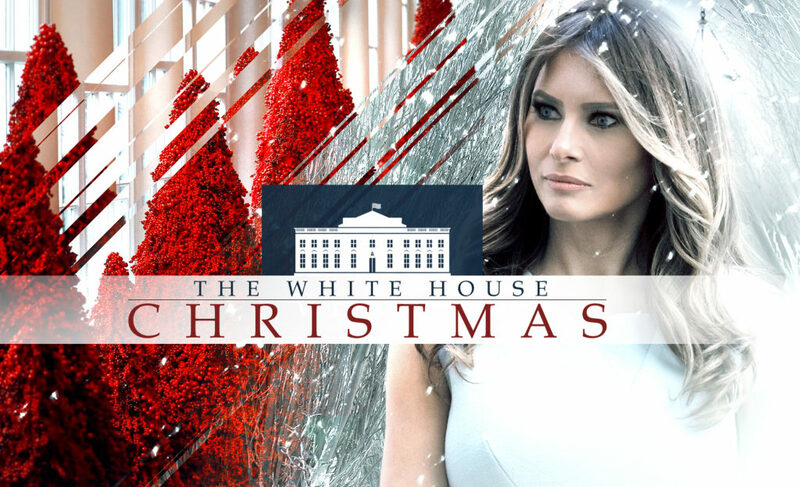 This week, our nation’s glamorous model in chief unveiled her theme for 2018’s White House Christmas which she titled, “American Treasures.” A White House statement says the theme “honors the unique heritage of America,” and “shines with the spirit of patriotism.” The heavy use of the color red stands in stark contrast to 2017’s theme, “Time-honored Traditions” which had a wonderful white winter’s snow appearance. Each of the White House rooms have their own individual characteristics which carry their own culturally significant meaning. The green room is arrayed in a wide variety of vegetables, grains, and fruits suggesting a feeling of American prosperity while the East Wing’s Gold Star Family tree is decorated with blue ribbons and gold stars. The tokens of Christmas symbolism represent honor, and commemorate military families who sacrifice daily to protect our nation’s citizens and their interests. As the more than 30,000 expected visitors tour the White House this December, guests moving from room to room will indubitably come across the red berry topiary forest adorning the East Colonnade. An unabashed display of Republican favored crimson red—these towering trees are set against the snowy white walls of the historic house itself evoking a sense of patriotic pride reminiscent of the red and white stripes found on old glory itself. Visitors entering the Blue Room will be greeted by the official White House Christmas tree proudly standing at 18 feet tall. The tree is trimmed with over 500 feet of blue velvet ribbon featuring each state and territory embroidered in gold. The East Room champions American architecture with four unique mantelpieces that represent the famous city skylines of New York, San Fransisco, Chicago, and St. Louis. Hand made paper ornaments highlighting six different regions across the nation further decorate the room. In keeping with the theme’s patriotic (if not decidedly Republican) color scheme, the Cross Hall and Grand Foyer feature twenty nine trees adorned with more than 14,000 red ornaments dubbed The Heart of Patriotism. “Our theme honors the heart and spirit of the American people. Thank you to the many volunteers and staff who worked hard to decorate the halls of the People’s House in Christmas cheer. On behalf of my family, we wish everyone a very Merry Christmas and a Happy New Year” said the first lady. This will be Melania Trump’s second year decorating the White House. From the looks of things she is keeping the spirit of Christmas alive and well by infusing it with a little patriotism this holiday season. You can watch the First Lady’s impressive aesthetic prowess at work below in the recently released White House video.